Celebrated French football manager Gérard Houllier has taken the top job at many leading sides and is a popular figure in the world game. Most recently he has taken roles as Head of Global Football for Red Bull and is also in charge of Austrian team FC Red Bull Salzburg, as well as Germany’s RB Leipzig and the New York Red Bulls in the United States. He also works with Red Bull Brasil and the Red Bull Ghana academies to offer his unrivalled expertise to young footballers. In the past, Holier has taken the manager position with Premier League teams in the UK like Aston Villa, though not for long owing to illness, but has many achievements and accolades in his locker. He has also been in charge of sides including RC Lens and Liverpool, the latter of which he led to glory in the FA Cup, League Cup and UEFA Cup in 2001, and also the likes of Paris Saint Germain. With Olympique Lyonnais he led the side to two French titles. Of course, Gerard also took charge of the French national side in 1992 and 1993, and was assistant manager in the World Cup in 1998. Gerard has also worked with UEFA and FIFA as part of their technical committee in the 2002 and 2006 World Cup finals, and acted as the Technical Director of the French Football Federation in the 2010 finals. 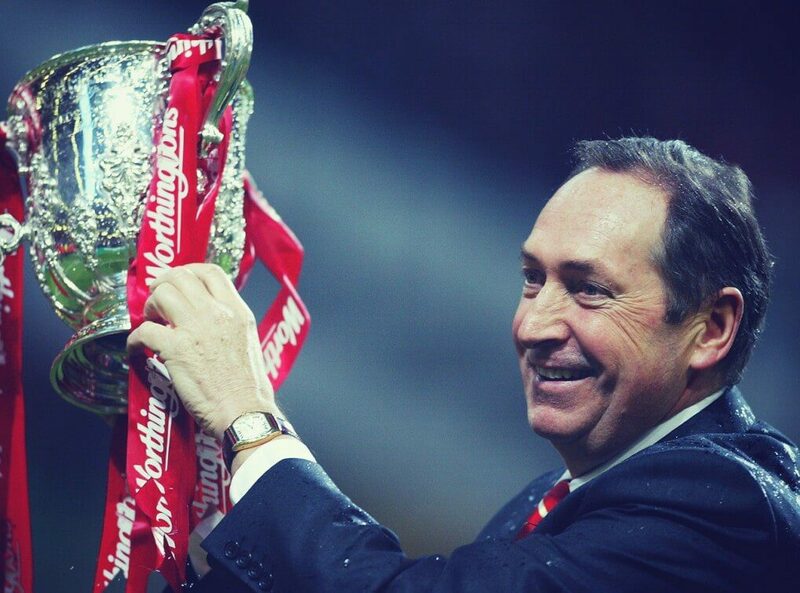 As such, Gérard Houllier is still an important figure in the world game, has lots of experience and even more tales to tell when speaking at public, private or corporate events.